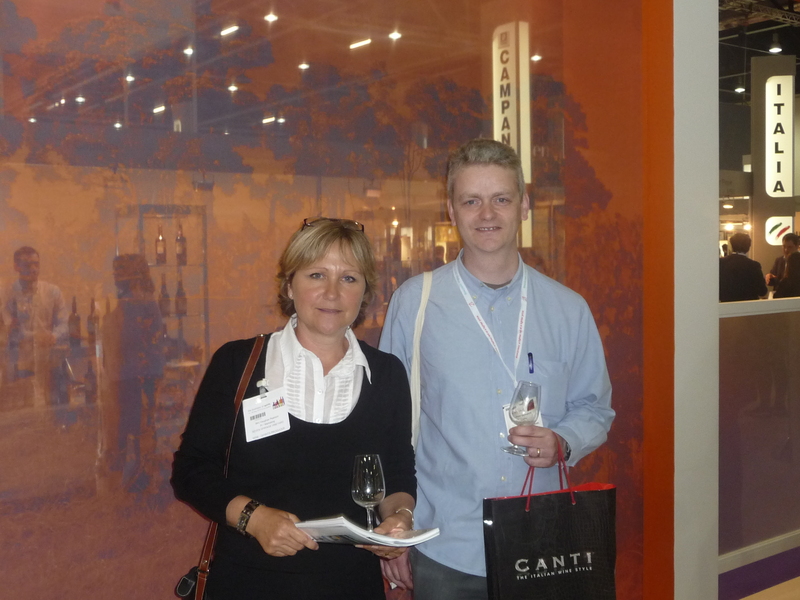 DAY 1 – Wednesday May 19th – Our annual pilgrimage to the London International Wine Fair proved to be very positive again for Seven Springs Vineyard. On Wednesday Vaughan and Tim attended the event and met with a good friend of Seven Springs, David Derbyshire aka http://oenotype.blogspot.com/, and we spent most of the day going around the show with him. Some of the highlights of the day saw us catch up with our old friend Ken Forrester of www.kenforresterwines.com and we sampled his fantastic range of Chenin Blanc’s culminating with the fabulous FMC. Moving on we then met with Liesl Rust and Paul Cluver of www.cluver.com and tasted the wonderful wines they produce from the Elgin region of South Africa. Try their Noble Late Harvest Riesling, one of South Africa’s best sweet wines (along with Ken Forrester’s T and Mullineux’s Straw Wine). We then met with near neighbour Peter Finlayson of www.bouchardfinlayson.co.za and tasted his stunning range of wines, flagship Pinot Noir and Chardonnay from the Hemel en Aarde Valley. Then we moved on to see The Wine Gang, www.thewinegang.com, where all the ‘gang’ were there Olly Smith, Tom Cannavan, Tim Atkin MW, Antony Rose and Joanna Simon. They hosted a stand displaying their top 100 wines based on their top scoring wines of the last 12 months. Highlight of this visit was Antony Rose attempting the hoola hoop…ring a ring a rose! Whilst tasting some of the wines we met our friend Chris Mullineux, http://mullineuxwines.com/, who was paying a flying visit to the show between trips to California and the south of France. Then we met with Tara O’Leary aka http://winepassionista.com/, Tara being the first person to write an article on Seven Springs Vineyard. After lunch we spent time with our brand designer Marcel de Quervain of www.curv8.com and spent the afternoon with him. David then introduced us to Rowan Gormley of www.nakedwines.com. 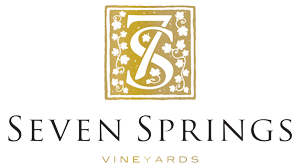 Rowan has asked if he can taste our wines once they are bottled as he would be interested, if the wines are of a good quality, in adding Seven Springs to his impressive portfolio of South African wines. We then met up with daughter Kim who spent the last two hours with us culminating in a tasting of the legendary Simonsig Estate, www.simonsig.co.za , where we spoke with owner Pieter Malan and tasted their lovely range of wines. Fabulous Chenin Blanc’s as always from Simonsig..their recently bottled 2010 is a very fruity and vibrant example of this variety. Vaughan then drove back to Warwickshire and Kim, Marcel and Tim headed off for a curry and a bottle of Cobra. Who should we bump into at the curry house?…none other than Pieter Malan from Simonsig….a small world indeed. Then off to bed, ready for Thursday and day 2.